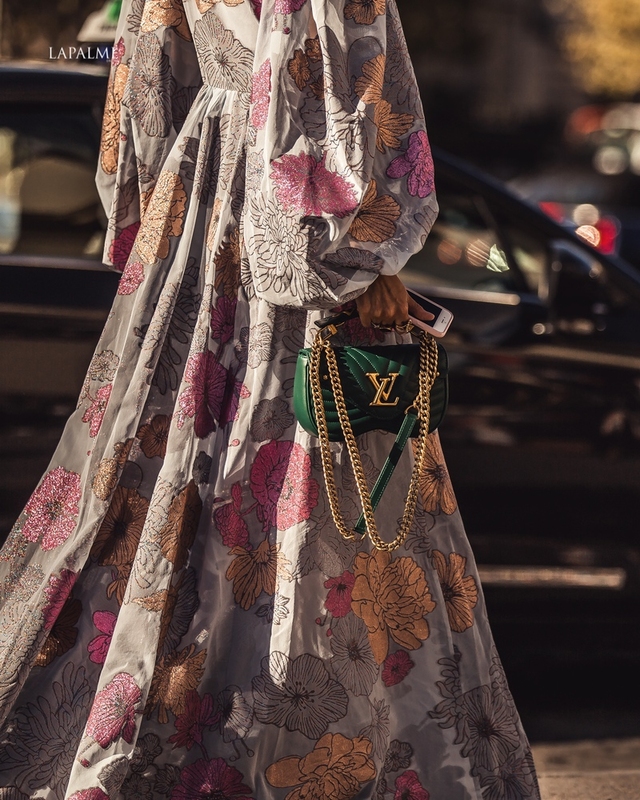 Charlotte Groeneveld (@thefashionguitar) walks to the Rochas (@rochasofficial) fashion show in a Stine Goya (@stinegoyastudio) dress and Louis Vuitton (@louisvuitton) bag. 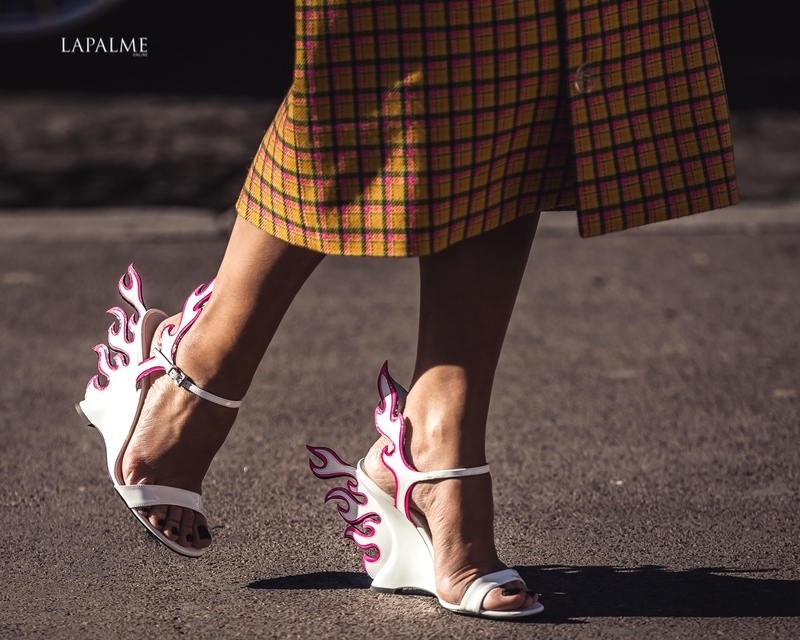 Prada (@prada) sandals worn by Thassia Naves (@thassianaves) to the Rochas (@rochasofficial) fashion show at Palais de Chaillot in Paris. Xenia Adonts (@xeniaoverdose) exits Rochas (@rochasofficial) fashion show in Trocadéro, Paris. Violet Chachki wears Mugler (@muglerofficial) to the maison’s fashion show in Paris.